Ocular migraines affect the retina in your eye. 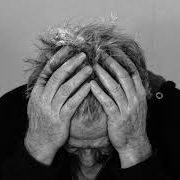 Also known as visual, retinal, ophthalmic, or monocular (one eye) migraines, this is a rare disorder and is known to affect 1 in every 200 people suffering from migraines. The prevalence rate of the disease is 45.69%. It mostly affects people in the age group of 20 to 40. Common symptoms found in patients suffering from ocular migraines include loss of vision in one eye for about an hour, along or after headache. People who have regular migraines can have flashes of light or blind spots known as aura, which usually appear in both the eyes. Other symptoms could consist of headache at one side of the head (usually moderate to extremely painful), a feeling of throbbing or pulsating, nausea, vomiting, sensitivity to light and sound. Experts are not sure on what can cause ocular migraines, but research speculates that it is related to spasms in blood vessels of the retina and changes that spread in its nerve cells. People with ocular migraines are at a higher risk of developing permanent loss of vision in one eye. Most people do not consider seeking a treatment for ocular migraines. The eye doctor will advise you to take rest during the time when experiencing ocular migraine till your vision goes back to normal. An eye doctor might also suggest a pain killer to relieve the pain. Drugs that treat epilepsy are known to cure ocular migraines. Medicines to control blood pressure, known as beta blockers, have also proven helpful in treating ocular migraines. Aspirin is one of the common drugs an eye doctor might prescribe to reduce headache. We, at Eye-Q Vision Super Specialty Hospitals, are committed to providing best quality eye care at reasonable prices because we understand the value of your precious eyes. Eye emergency is any condition, infection or injury to the eye that needs immediate treatment and attention. Eye emergencies can be different for everybody. But generally, it is an emergency when there is bleeding or discharge from around the eye. If there is a bruised eye, decreased vision, double vision, you also have eye pain and headache for a longer period of time, do not take it lightly and consult a doctor. Sometimes one may also have itchy eyes; it can also be due to chemical exposure. In severe cases, there may be partial or total loss of vision in one or both the eyes. Certain eye infections and conditions might also be categorized under eye emergencies. A direct injury or trauma to the eye could lead to a black eye and is caused by bleeding under the skin. It is usually accompanied by swelling and pain, the skin turns black and blue and could even turn purple, yellow and green over a span of several days. Sometimes, a skull fracture or head injury can also damage the eye that would require immediate attention. A foreign object might also be the cause and need attention. A chemical injury happened at industrial work place or due to household products such as cleaning solutions, solvents, fumes and aerosols can cause chemical burns. 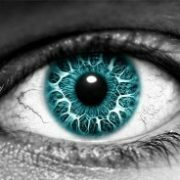 Some alkaline substances such as lime, lye and drain cleaners can cause permanent damage to the cornea. Eyelid and eye cuts are usually severe and require immediate doctor’s attention. One thing to keep in mind is to not rub the eyes at all. One should wash your eyes thoroughly, in case dust or an object has entered the eye. Wash your hands with soap and water in case if you use your hands to touch your eyes. If there is a cut or slit and an object is stuck inside, seek immediate medical help. 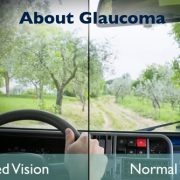 Glaucoma is an eye condition where your optic nerve gets damaged. It happens because of pressure in the eye nerves. The prevalence rate is 2.65%. It affects people of age group 40 and above. Glaucoma is found mostly in old aged people. Glaucoma occurs simultaneously in both the eyes, though the effect may differ in each. One can have a hazy or blurred vision. There can also be an appearance of rainbow-colored circles when around bright lights. Other common symptoms found are severe eye and head pain, nausea, vomiting. There may also sudden loss of eyesight in some cases. Most people do not have any eye pain or have any symptoms in early stages of the disease. One of the symptoms can also be loss of peripheral or side vision. If you have a history of glaucoma and you’re above 40 years of age, it is advisable to get a proper eye examination done as it can also be hereditary. It happens when eye fluid,known as aqueous humor,is not able to circulate properly in the eyes. A person suffering from diabetes is also at a high risk of developing glaucoma. Other causes that can result in glaucoma include a severe eye injury or an eye infection, blockage of blood vessels, inflammatory conditions of the eye and even an eye surgery. The eye doctor will examine your eyes through dilated pupils. The eye doctor will be able to spot the affected condition of the optic nerve through this test, a specific way it looks like when a person has glaucoma. The eye doctor can also conduct a tonometry test to check the pressure on the optic nerve. He might also conduct a visual field test to check for peripheral loss of vision. With our range of Glaucoma Treatment Services, you can rest assured that we follow world-class management practices. Crossed eye, also known as Strabismus, is a disorder in which the eyes do not look together at an object, at the same time. People suffering from this condition have a problem with the eye muscles or with the brain where the signals are processed. The prevalence rate is about 2.5%. It can be spotted during infancy itself and is common in young children. 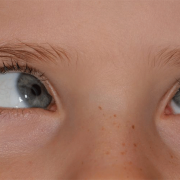 Strabismus is of two types – intermittent or constant. The intermittent strabismus occurs during some part of the day, such as when the eye muscles are tired or during an illness. Sometimes parents may notice their child’s eyes wandering during first few months of its birth. That’s mainly because the infant is still learning to focus and to move both the eyes together. This condition is over by the time they reach 3 months of age. Strabismus, however, is a constant situation. Crossed eye is grouped according to the direction of misalignment. If one eye is looking straight and the other appears to be looking inwards (towards the nose), it is known as estropia or convergent strabismus. If the other eye is looking outward (towards the ear), it is known as exotropia or divergent strabismus. If the eye is misaligned in downward direction, it is hypotropia, while in upward direction, it is hypertropia. Commonly known symptoms for a person who suffers from crossed eye condition are blurred vision, double vision and vision disorder. The eyes do not appear to move together. The eyes often blink and squint, especially in bright light and look misaligned. Sometimes, diseases such as high blood pressure, diabetes, multiple sclerosis and thyroid disorders can also trigger this condition. You should consult a doctor if you see any symptoms in your child or any adult. The eye doctors will check for alignment of the eye and the coordination in the movement of both the eyes. There is no prevention of this condition, but it can be treated if detected well in time. This can be treated in adults as well to a large extent. 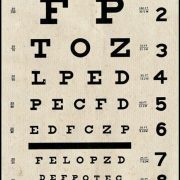 An eye doctor may prescribe glasses to correct the vision defects. Eye exercises are also found to be helpful in strengthening the eye muscles. A surgery can also be used to loosen or tighten the muscles of a specific eye in order to realign the eyes. We, at Eye-Q Vision, have Pediatric Services where a specialized team of doctors look after the eye problems of your child. We assure you that the health of your child’s eyes is in safe hands. Myopia, commonly known as nearsightedness, is a refractive error which makes it difficult to focus on far away subjects. People suffering from nearsightedness can see objects close to them clearly and see far away objects blurry. The prevalence rate of the disease is 34.60%. People in the age group of 20 to 40 are mostly affected by this disease. A person suffering from myopia cannot see objects such as chalk board and road signs that are far away clearly. There is a persistent need to squint eyes to see clearly. One might have headaches due to continuous eye strain. A person might also have difficulty in seeing while driving, especially at night (night myopia). Objects far away, like a chalkboard or road signs, appear blurry. There is a persistent need to squint or close eyelids to see clearly. Some people complaint of headaches due to eyestrain. There might also be a difficulty seeing while driving a vehicle, especially at night (night myopia). Myopia occurs when light rays entering the eyes focus in front of retina, instead of focusing on it. Myopia can be inherited and is a genetic disease as well as can be developed due to environmental conditions. If one of your parent is suffering from myopia, there is a high possibility that you can also develop the disease. People who do a lot of reading are at a higher risk of contracting it. It is also known that environmental conditions may also contribute to a person having nearsightedness. The doctor will do a thorough eye examination. He might also prescribe you corrective eyeglasses or contact lenses to correct the focal point. One can also get it corrected by having a refractive surgery. The doctor will use a laser beam to reshape your cornea. There are different types of refractive surgeries which the doctor will prescribe as per your specific condition. With our Lasik Laser Surgery at Eye-Q Vision, the doctor will advise you the best options from our wide range of laser surgery treatments available. You can be rest assured that your precious vision is in the safe hands of an expert.